We should not be surprised that so many Irish men and women become keen gardeners, for Ireland is a plantsman’s paradise. Its climate is lush and temperate, particularly along the south coast, where the warmth of the Gulf Stream allows so many tender sub-tropical plants to flourish. While several of the gardens mentioned here are in state hands, the majority are in private ownership. Some of these are open regularly while others only open once or twice a year. 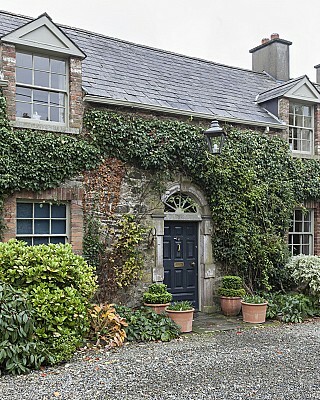 If you are staying in a number of Hidden Ireland houses, and you are a keen gardener with a genuine interest, it is always worth mentioning this to your hosts. They will often have gardening friends and may be able to arrange a private visits to interesting and little known gardens. Beginning in Dublin, the National Botanic Gardens maintains a fine collection at Glasnevin, in a well laid out and beautifully-tended park with a splendid curvilinear range of glasshouses culminating in the great palm-houses by Richard Turner, who subsequently built the palm house at Kew. Just west of the city centre is the Phoenix Park, larger in area than all the London parks put together. Formerly a royal park, this was enclosed by the Duke of Ormond when Viceroy for Charles II and is bisected by a straight wide avenue of imposing grandeur, running north from Parkgate Street to the Castleknock Gate. The park is chiefly comprised of large open spaces of grazing meadows with fine stands of mature trees and a very large herd of fallow deer. 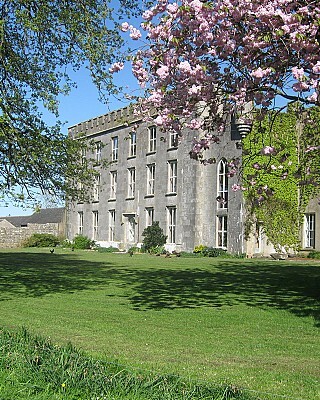 In the south of the city two of the best known gardens are the Dillon Garden, and slightly further out, Fernhill, though Airfield Gardens, Deepwell, and the demesne at Marlay are all pleasant places to visit. 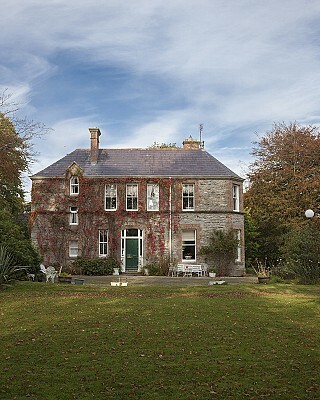 A few miles to the west is Primrose Hill, near Lucan, while the Talbot Gardens at Malahide Castle are some eight miles north of the city, with the gardens at Ardgillan Castle in Skerries a little further off. Travelling south through County Wicklow we come to Powerscourt, a spectacular terraced garden with a dramatic natural backdrop, and Kilruddery, perhaps Ireland’s finest surviving late 17th century formal garden. 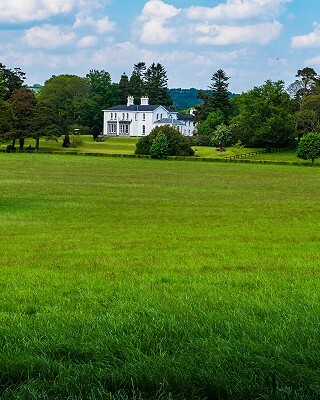 Mount Usher is a garden of rare trees and shrubs laid out along the River Vartry, while Avondale is famous as the birthplace of the 19th century Irish leader, Charles Stewart Parnell, and has 18th century plantings by one of Ireland’s leading horticulturalists of that era. 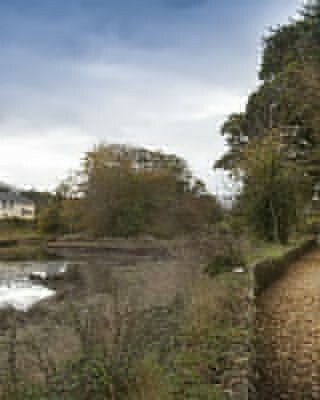 Further south are Altamont Gardens, in County Carlow, with wonderful trees and plantings around a picturesque lake and a formal potager, while in County Kilkenny the dramatic nature of the waterfall and glen at Kilfane was carefully exaggerated in the 18th century, when it was given a rustic hermit’s cottage, recently rebuilt. 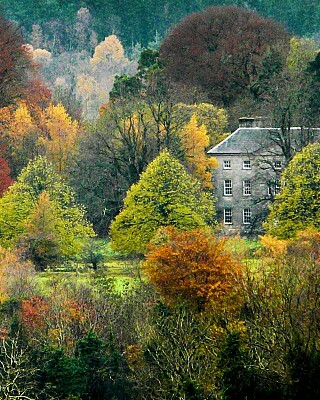 Woodstock, a wonderful 18th century house and demesne above the River Nore, was burnt in 1922 and abandoned. 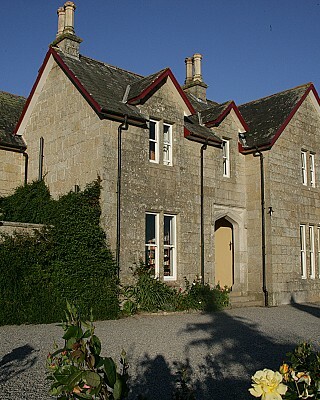 Now the structure has been stabilised and the gardens restored, and the whole 18th and 19th century layout, with its splendid plantings, are there for all to see. 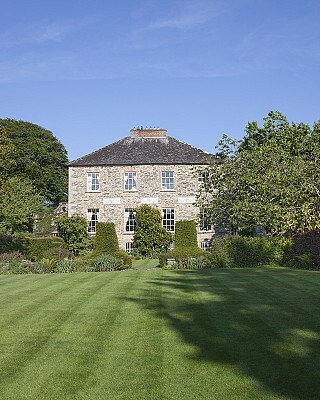 The creation of the garden at Kilmokea, a Hidden Ireland house in County Wexford, was the life’s work of a dedicated, single minded couple, and is tended by the present owners with equal dedication. 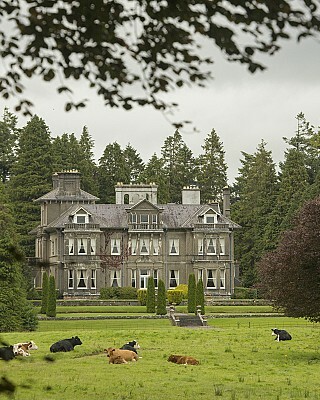 In County Waterford, just across the estuary, is Mount Congreve, where another dedicated gardener has planted a hundred acres of woodland round his house, largely with rhododendrons and azaleas, and on an unimaginable scale. 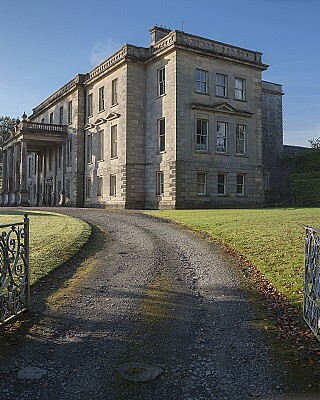 At nearby Curraghmore the 18th and 19th century demesne of one of Ireland’s greatest landed magnates can be seen. 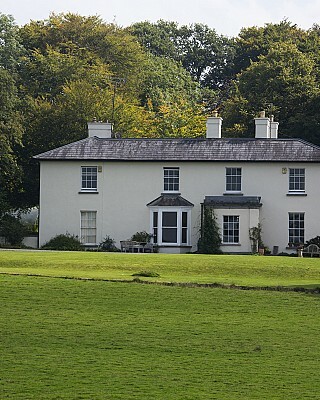 The great house with its noble forecourt is surrounded by an amphitheatre of hills and is bisected by the river Clodiagh running through a deep valley, with several bridges, an 18th century shell house, a folly tower, a lake and a wonderful long avenue of green sward stretching for miles up the hillside, with plantions of heavy timber on every side. At Lismore Castle, perched precariously above the River Blackwater on a cliff, the intervals between the inner and outer curtain walls have been planted up to make an enchanting series of garden rooms. 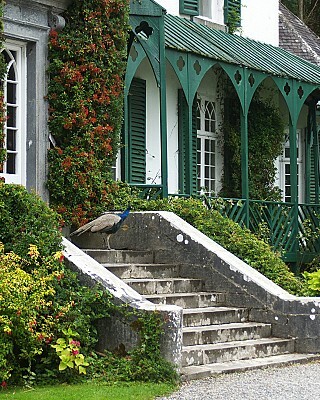 At nearby Annesgrove the steep slopes of the Awbeg River are covered with rare rhododendrons and azaleas to make one of Ireland’s most atmospheric and delightful gardens. 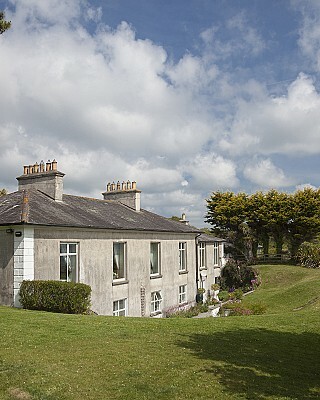 Further south, the formal herb garden and potager at Kinoith - home of Ballymaloe Cookery School - are outstanding, as are the gardens at Blarney, Timolegue, Lisellane and Bantry, with its steps seeming to rise to the sky to give a panoramic view, with the house at your feet in the foreground and Bantry Bay stretching beyond. Further west are Ilnacullin (or Garnish Island), Rossdohan, Garinish and Dereen. These gardens all occupy island or coastal sites, date from the 19th (or the earliest years of the 20th) century and all make full use of the mild climate to grow a profusion of rare sub-tropical species. Of these, Ilnacullin, with its wonderful plantings and superb classical buildings, and Dereen, for its spectacular situation and the vast scale of its plantings are perhaps the best known. 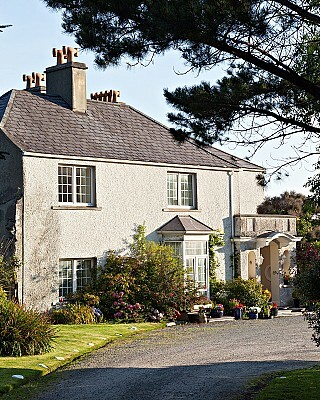 Moving northwards, the gardens at Glanleam, a Hidden Ireland house on Valentia Island, are worth a visit while Coolclogher House on the outskirts of Killarney is just a short walk from the world famous Muckross House and Gardens. 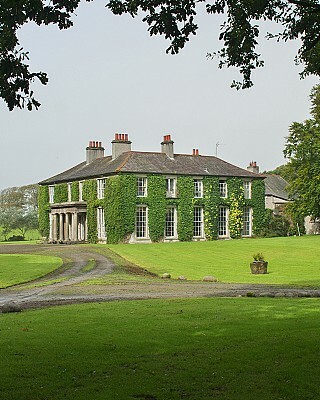 Also worth a visit are the gardens at Glin Castle and Ballinacourty in County Limerick. On the other side of the River Shannon from Glin (via the Tarbert Kilimor ferry) is the newly replanted Vandaleur Garden at Kilrush, in the extreme south west of County Clare, on the road to Loop Head. 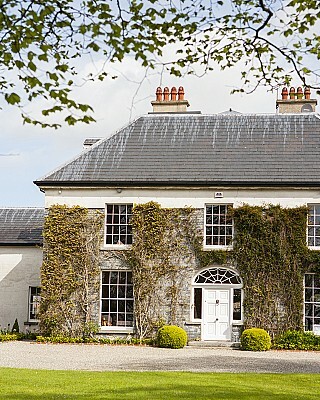 Another Hidden Ireland house, Ballyvolane House near Fermoy has extensive traditional country house gardens that include a spectacular bluebell wood which are in full bloom in May. 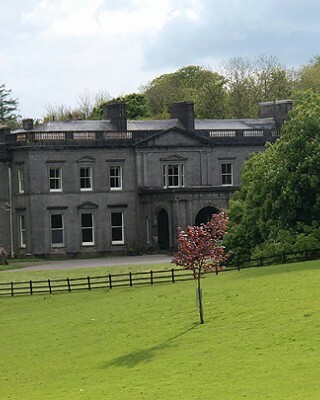 Moving back into the centre of the country, a superbly planted valley (which may possibly have been designed by Humphrey Repton) leads to the Mountain Lodge, a former shooting lodge on a long-gone estate in the Galtee Mountains between Mitchellstown and Cahir, and now used as a youth hostel. 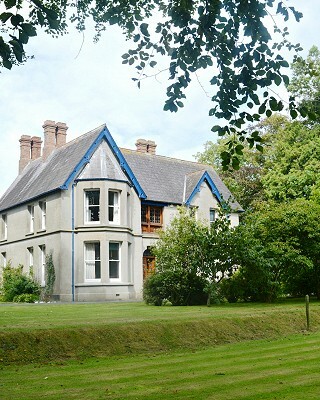 In Cahir itself, the River Suir flows through a spectacular park below the Swiss Cottage, a large and beautifully restored cottage ornée, designed by John Nash. 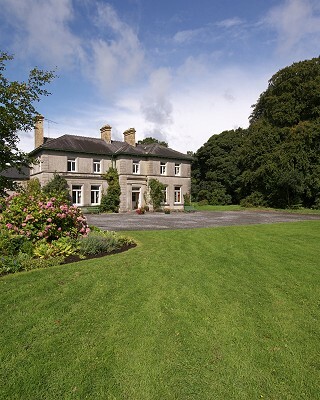 Further north, in County Laois, is Heywood, an amazing series of interconnecting and very different gardens by Sir Edward Luytens, overlooking the steep valley of the River Nore, and Ballyfin, a huge early 19th century house with a large, early iron-framed conservatory, in a dramatic park beneath the Slieve Bloom Mountains and Coolcarrigan. In County Offaly is Birr Castle, one of Ireland’s greatest gardens, Woodfield, the garden of one of Ireland’s most expert modern plantsmen, and Ballindoolin. 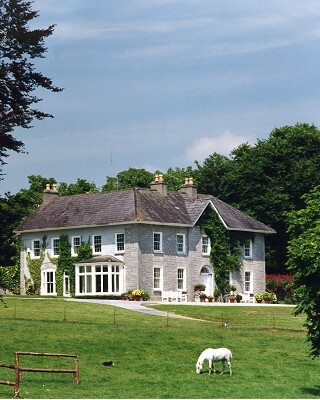 In neighbouring County Kildare are the Japanese Gardens at the National Stud and well-known gardens at Martinstown House (a Hidden Ireland house near the Curragh) and Lodge Park, near Straffan. Jim Reynold’s famous garden at Butterstream in County Meath is unfortunately no longer on view, but one can visit the great house and terraced gardens at Belvedere, overlooking Lough Ennell in nearby Westmeath, and the demesnes and gardens at Tullynally and Ballinlough Castles. Back into the west is Ardcarrig, a private garden just west of Galway, and, further west, those at Cashel House and Kylemore Abbey. 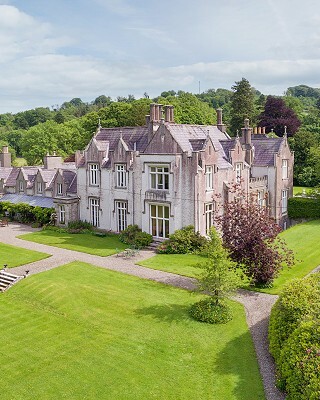 County Mayo has the wonderful demesne at Westport House, and restored Victorian gardens at Turlough Park and Enniscoe (a Hidden Ireland house on the shores of Lough Conn). There are gardens and dramatic parkland at Strokestown Park (County Roscommon), Temple House (another Hidden Ireland house) and Lisadell (both in County Sligo), while the garden at Glenveagh Castle in County Donegal has the wildest imaginable scenery as a backdrop. 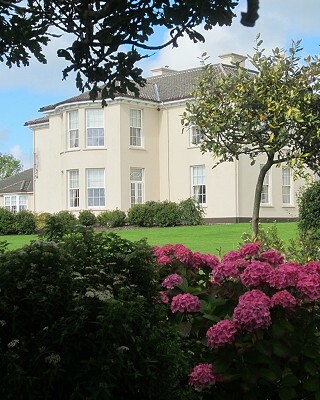 In Northern Ireland are Benavarden, near the Giant’s Causeway, Baroncourt and southwards, towards Lough Erne, the estates and gardens at Florencecourt, Tempo Manor and Hilton Park, the last a Hidden Ireland house just across the border in County Monaghan. 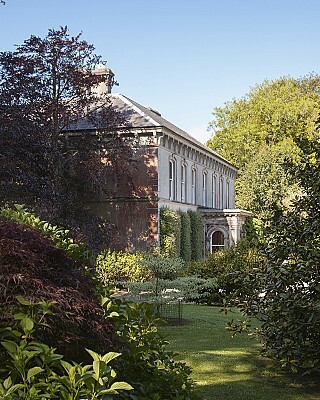 You can see the remains of an early formal garden at Antrim Castle; the Belfast Botanic Gardens are well worth seeing, as are the private gardens at Seaforde, and the gardens and demesnes at Castlewellan, Rowalanne, Tollymore Park and Mount Stewart.